This card was made for our nephew, who turned 21 this week. 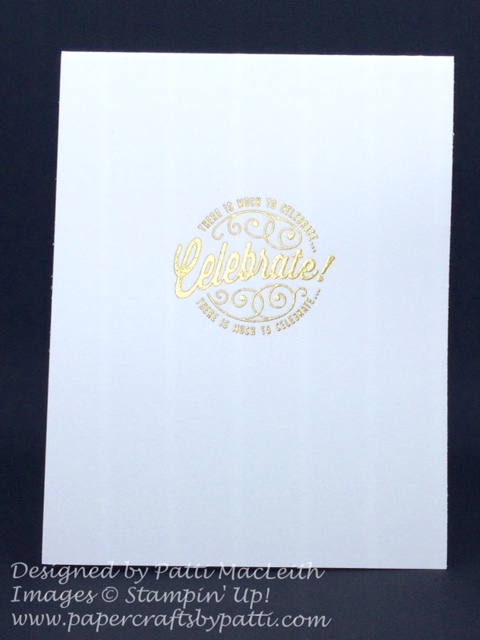 I wanted something simple and classy so I used Black, White and Gold Foil. 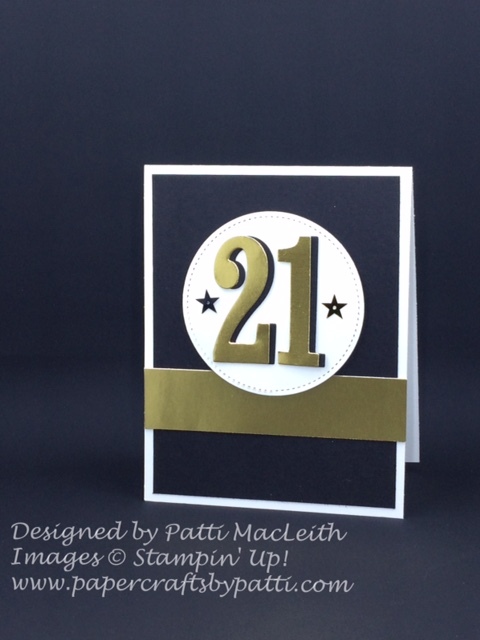 I created a shadow for the "21" by also cutting it in black and then placing it just off of the Gold Foil numbers. The theme stays festive inside where I used Gold Embossing Powder and the "Celebrate" stamp from the Here's to Cheers stamp set. Don't forget to check out the Year-End Closeouts while supplies last!